“In the years when we did not dare to ask sovereignty we lost. We lost justice, truth, the Israeli story. In the years when we told the world that we can resolve the matter in a compromise because we are a peace loving nation, we did not engage in a struggle for justice in Israel. Anyone who does not believe in the right to settle in Shilo, Beit El and Eli has no business in Tel Aviv, Herzliya and Rishon Lezion. “We learned the hard way that you cannot divide the country. We uprooted Gush Katif and we received the terrible Gaza which is bad for both Israelis and Palestinians,” she added during a meeting with Netanyahu last week where she urged him to apply sovereignty. “It can be done in a gradual manner, starting with the greater Jerusalem area and from there applying Israeli law on the entire settlement enterprise and later to sovereignty from the sea to the Jordan, but doing so requires unity, no contest who is more right-wing. We fully agree with her desire to apply Israeli laws over the entirety of Judea and Samaria and remove the horrifically horrendous anti-Zionist applications of foreign laws and allowing NGO’s and the Supreme Court to uproot Jewish communities on the flimsiest of evidence which often proves to have been false or an extreme stretch using hundreds of years old Ottoman deeds and claims simply to destroy Zionist and religious communities because they are considered an anathema to some Jews backed by European monies. 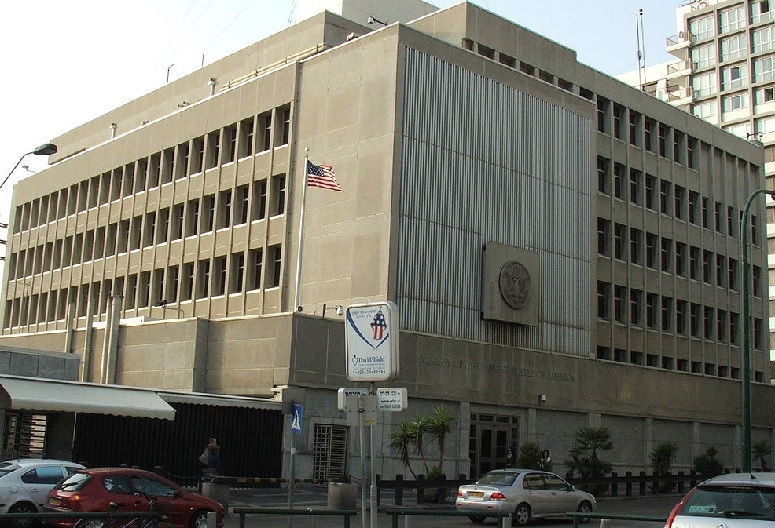 The current situation allows the poisons of European systemic, historic, lingering anti-Semitism couched as anti-Zionism and pro-Palestinianism and pan-Arabism to destroy Jewish lives as well as destroying Jewish employers who employ hundreds of Palestinian Arabs as well as Jews giving these Arabs equal pay and advancement and paying salaries four times that of what they might expect from similar positions in the areas under the Palestinian Authority (PA). These attacks are meant to destroy Jewish claims and make Judea and Samaria into an Arab enclave which will fall most likely to Hamas or possibly to the Islamic State because they believe the falsehood that giving away Judea and Samaria will work better than what occurred when we surrendered Gaza and got hundreds of thousands of rockets, mortars and terrorism in return costing Israeli lives and forcing a generation of Israelis residing near the Gaza border to live under hellish attacks and threats constantly hanging over their heads, literally. Children show signs of Post-Traumatic Stress Disorder (PTSD) except that their Traumatic Stress is current and constant which would make their condition Current-Constant-Traumatic Stress Disorder (CCTSD). Giving all of Judea and Samaria, which includes the Judean Heights which overlook the heart of Central Israel and the vast majority of Israeli industry, production, power generation and three quarters of the population’s residences, would place all of this under direct line of sight for launching rockets, mortars, anti-tank weapons and other weapons which could be used by snipers or casual terrorist who woke-up and desired some excitement defined as shooting Israelis in a barrel with the barrel being Petah Tikva, Rehovot, Giv’atayim, Netanya, Ashdod, Ashkelon, Herzliya, Yafo and, of course the gem and biggest target, Tel Aviv (see map below). 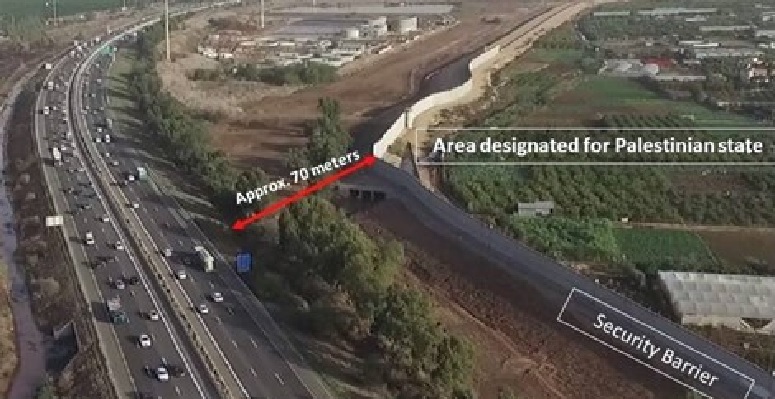 Additionally, these heights give a direct shot at more than buildings as it includes direct targeting of all flights in and out of Ben Gurion International Airport as well as easy shooting at vehicles on some of Israel’s most used highways (see images below map). Opening up such vulnerabilities would be beyond insane into suicidal. 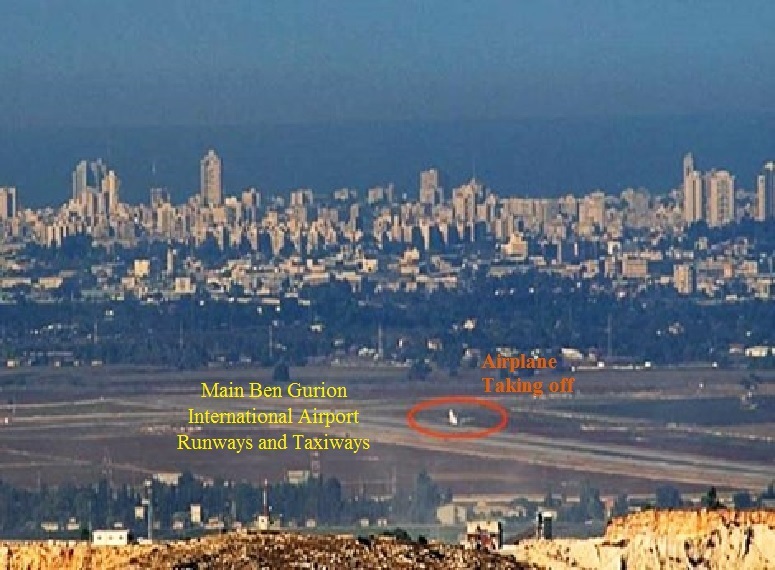 The building behind the runways is Tel Aviv on up to Netanya and as one can see the Mediterranean Sea beyond one gets an idea at how close and easy it would be to target these communities and the heart of the largest collection of center city structures in Israel. And if all of this were not enough, surrendering Judea and Samaria would leave Jerusalem at the end of a thin vine containing two highways and railway tracks which would be easily cut off leaving Western Jerusalem hanging to die on the cut vine connecting it to the rest of Israel. Surrendering Judea and Samaria would mean surrendering all of Jerusalem as it would simply be a matter of time with modern weaponry to lay siege to Jerusalem by simply making the roadways and rail lines unusable. 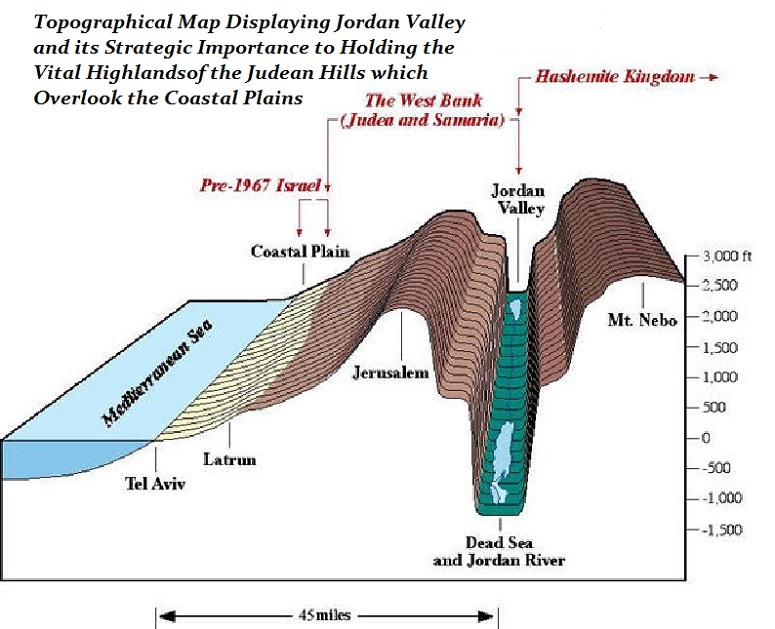 Lastly, this would also result in the surrender of the Jordan Valley which the Jordan River flows through. This valley is a natural barrier to any land assault and provides Israel with a natural defensive position. Surrendering all of Judea and Samaria would result in allowing the three passes which allow the passing from the Jordan Valley onto the Judean Heights to any Arab force that would be determined to launch a land assault against Israel (see bottom figure below). This was something Israel learned very early in its modern life as Arab armies flowed through these passes on May 15, 1948 when more than a half dozen Arab Armies attacked Israel on the first morning of her existence in an attempt to genocidally destroy all of Israel. This was the declared Arab League’s commentary on the purpose of the attack. This was the attack where Jordan took Judea and Samaria and Egypt took Gaza and these nations occupied what was supposed to be Israeli land and broke the rules of the Geneva Convention by transferring populations into these lands, especially Jordan who forced thousands of Arabs to be relocated from Jordan to Judea and Samaria plus making the Arabs who wished to reside there be rewarded with Jordanian citizenship while annexing the entirety of Judea and Samaria. Their annexation was only recognized by Britain and Pakistan with even the Arab League denouncing the Jordanian actions. Jordan reneged on their offer of citizenship after losing the lands of Judea and Samaria when Israel liberated the areas in the Six Day War in a defensive war in early June of 1967. Jordan subsequently claimed to have gifted Judea and Samaria to the Palestinian Arabs as their own nation and denied having annexed the area after Israel recaptured their lands. 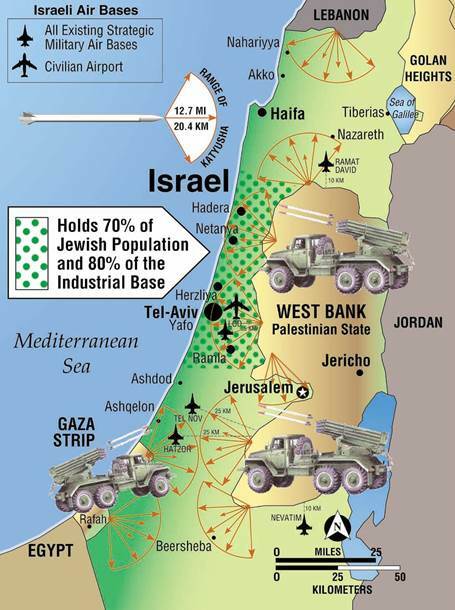 The final reason why Israel needs to retain Judea and Samaria is that it alters the tactical depth of Israel from a mere nine miles along the midsection to forty-five miles from the Jordan River to the Mediterranean Sea allowing time to react to any land assault instead of immediately being cut in half as would be the case without the lands of Judea and Samaria. Obviously we see the necessity for retaining control over all the land between the Jordan River and the Mediterranean Sea which was guaranteed the Zionist Congress and every Jewish organization and governance right up to November 29, 1947 when the United Nations broke their own Charter rules from Article 80 and offered the Arab League to divide Israel in half and give the most productive areas to the Arab nation and leave the Israeli Jewish State holding two-thirds desert lands in the Negev. The Jews accepted this deal reluctantly but accepted this perfidy by the General Assembly but the Arab League declined this compromise instead relying on what they figured would be an easy victory destroying Israel and genocidally cleansing the land of the Jews. They had the armies of Saudi Arabia, Syria, Jordan, Egypt, Iraq, Lebanon, Yemen and the Sudan plus militias and the Palestinian army under Mufti of Jerusalem Haj Amin al Husseini. There were rumors that operating behind the scenes and possibly closer to the front lines there were former British and Nazi officers assisting the Arab forces most often with the Egyptian, Jordanian, Syrian and Iraqi forces. When the Arab League rejected the United Nations General Assembly Resolution 181 dividing the lands between the Jordan River and the Mediterranean Sea the entire resolution became null and void. By null and void we and the rules mean into the circular file, burned in the furnace, gone, disappeared, vaporized, and most important, completely irretrievable. United Nations General Assembly Resolutions, not just 181, become inapplicable as soon as any side rejects any part, let alone all of the resolution as the Arab League did Resolution 181 immediately upon its passage. That particular rejection just might have set a world record which will be impossible to beat as the Arab League had decided to reject the action by the United Nations before it even was finished being written, let alone the ink to dry. This is also why there has not been a peace reached with the Palestinian Arabs as they are simply the mallet with which the Arab League and the Arab World has been beating Israel senseless for the past seventy plus years. The PA obeys much of the Khartoum Resolution and the Three No’s; no peace with Israel, no recognition of Israel, no negotiations with Israel. The PA may appear to negotiate with Israel but if you look at the results you will find that the PA have never kept a single agreement and have never compromised on their demand that all of Israel be placed under Arab rule, period. This has been the demand from day one with the sole possible change to be allowed is that the Jews will be permitted to reside as Dhimmis under their Arab masters. Such is supposed to be better than what Jordan did to the Jews who owned land, homes, farms, businesses and other properties in Judea and Samaria as they were ejected from their properties which were then given to Arabs that were forced by Jordan to move to these properties in order to permanently change the ownership making a record which refused Jewish ownership. 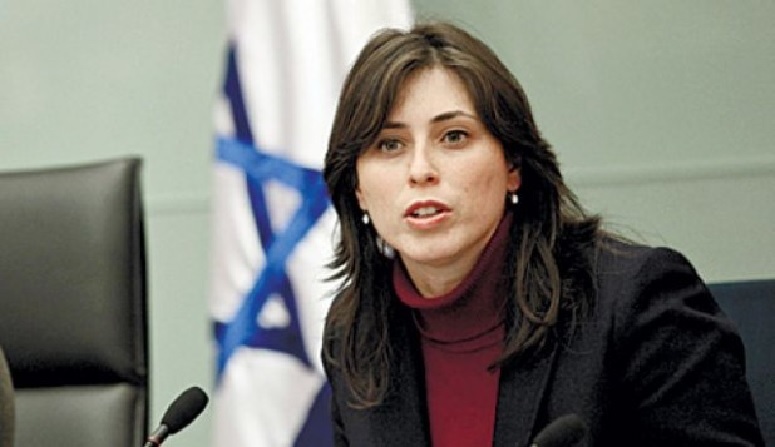 That brings us back to the comments and ideas of the Israeli Deputy Foreign Minister Tzipi Hotovely. The problem with her idea is that it opens up Israel to constant denial of ownership of any of Judea and Samaria. With her idea of first annexing all of Jerusalem, a useless idea as Jerusalem has already been annexed and the Arab citizens granted Israeli citizenship with partial political rights. As we discussed in our article Why Does Israel Continue to Exist Today?, Israel was only required to grant the people residing in their homelands before they were declared a state civil rights, property rights, religious rights but not necessarily political rights. 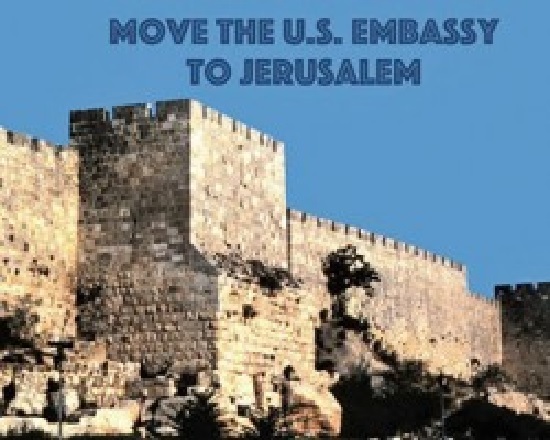 That is why and how Israel is permitted to allow the Arabs of East Jerusalem the right to vote in any Jerusalem election, though that was not required and done out of fairness as that is the one set of elections which most affects their lives, but not permit them to vote in national elections as of now. Then she wants to annex the suburbs around Jerusalem. Her idea continues to then annex the “settlement blocks” which are only in parts of Area C. Then she would eventually annex more and at some point the rest of the entirety of Judea and Samaria. Really? Such a plan is guaranteed to fail as the world comes unglued at each step. And knowing how the Likud lead-headed politically-defective step by step gradual way of accomplishing anything they feel might be controversial. Nothing could be any more wrong-headed and reality-challenged. They have learned nothing from their means of building housing in Judea and Samaria. Each time they take a single step they invite condemnations, denunciations, criminal charges to be filed, and international uproar. They announce the plan to debate allowing the building of twenty apartments in one block of a single building. The world screams endlessly for a couple of weeks. Then Israel announces they will take tenders (bids) for the building of the twenty apartments in a single building and the world screams endlessly for a couple of weeks. Then they announce they are reviewing the tenders and deciding which contractors will be in the final considerations and the world screams endlessly for a couple of weeks. The announcement then comes on which contractor won the bid and the world screams endlessly for a couple of weeks. Then they announce the intended date they will break ground and the world screams endlessly for a couple of weeks. Then they announce the date again with two weeks to go and the world screams endlessly for a couple of weeks and then with one week to go and the world screams endlessly for a couple of weeks. 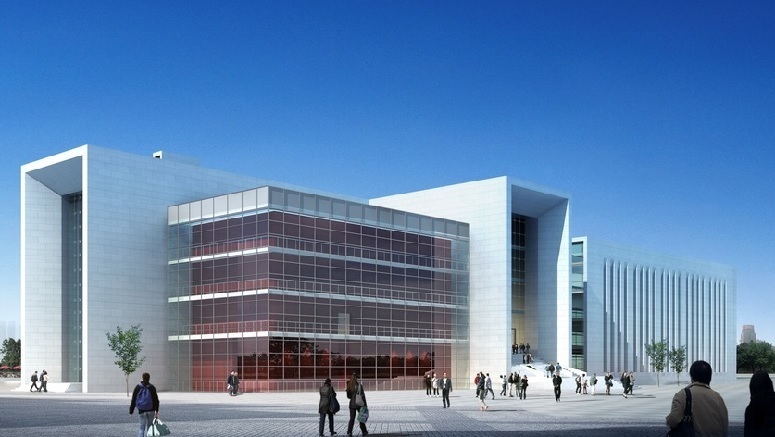 Then comes the big announcement that the building has been cancelled because of the world outcry and, believe it or not, the world screams endlessly for a couple of weeks over the fact that Israel even had considered such an affront to the world order. Did you catch a consistency in this process? Yep, every time Israel announced anything with the word build in any form the world screams endlessly for a couple of weeks. What does this mean for annexing Judea and Samaria? Well, probably that Israel would be best served by simply annexing all of Judea and Samaria in one fell swoop, rather than in small steps as she presented, and the world screams endlessly for a couple of weeks and then life continues. The reason that so many Israelis are so touchy and seemingly timid about anything concerning Judea and Samaria is they have become gun shy. The constant screaming by a small minority of the world but a very loud and active group has scared them into believing that much of the world is against Israel. The problem is the more Israel acts like a scared two year old the more people jump on the bandwagon as it becomes less of a cost if Israelis run timid. The way to prevent this situation would be to take the entire problem on straight ahead and grab the bull by the horns. Simply take exactly what the world granted Israel from the beginning, well, almost the beginning. The very beginning Israel was supposed to be all the lands of the British Mandate, all of what today is Jordan as well as the lands west of the Jordan River. Responding to Arab pressures in the form of pogroms and rioting killing Jews and attacking British soldiers, the British reneged giving the 78% of the lands, all the lands east of the Jordan River to the Iraqi border to the Arabs placing it under the Hashemite King Hussein. 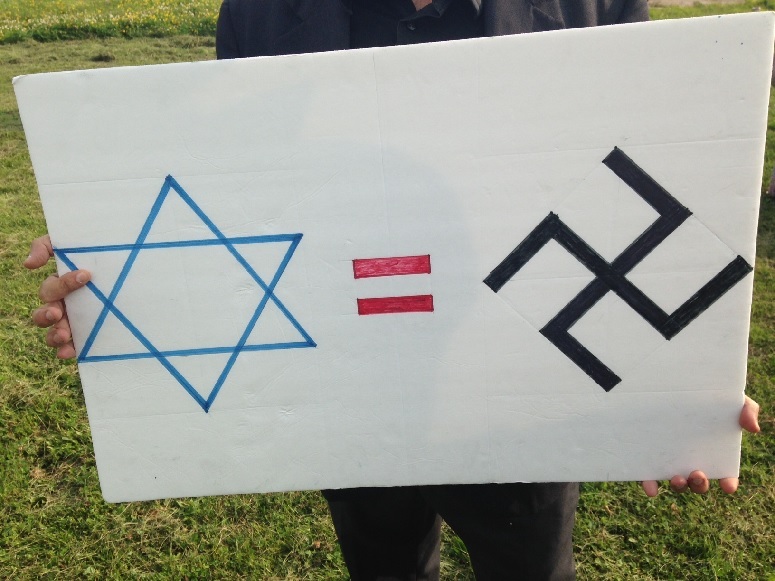 That left the 22% of the lands west of the Jordan River for the Jewish State. The arguments are over the lands occupied by Jordan illegally and liberated by Israel. All Israel need do to end the tortuous Arab-Israeli conflict is formally annex the remainder of their lands, Judea and Samaria. Simply extend Israeli law over the entirety of the lands west of the Jordan River and simply permit the Arabs to vote in local election but not in national elections. In some cities the elections will require being split with the Arabs ruling part of the city and the Jews ruling their part of the city. This would be necessary in Hevron and some other split cities. The schools would need to come under Israeli education system and not continue to be indoctrination institution teaching the Arabs students to hate Jews and portray martyrdom as an honorable act respected and which will grant great pride and honor to be given to your family along with a permanent paycheck for their having a martyr in their family. Ending the atmosphere of hatred and violence and allowing the people to have rights while removing the kleptocrats currently ruling over the Arabs in Judea and Samaria would give the Arabs of Judea and Samaria greater opportunity to succeed and make a better future for themselves. With time, the Arab society would prosper and there is a movement in Jordan to extend citizenship in Jordan and install democratic governance replacing King Hussein. We discussed this in our article Israel’s Worst Enemy is Israel. This option is a real possible and fair solution if only the world will give the Palestinian Arab majority in Jordan the opportunity to have self-rule. Granted, there will need to be some deal for a generous reward for the Jordanian King and his family as they will need to abdicate their power and likely accept a ceremonial position similar to the royalty in England and other European nations which are governed by a democratic form such as a parliament or whatever and their royalty are ceremonial with a comfortable life style and allowance from the government. This with allowing that the minority in Jordan have their rights protected can lead to a new dawn in Jordan and as the JOC desires peace and cooperation with Israel there could be a situation where the Arab Palestinians residing in Judea and Samaria who are currently under PA jurisdiction can become Jordanian citizens while remaining in Israel as legal resident aliens. This would have them voting in Jordanian elections and taxing would need to be decided by the two governments such that these Jordanians are not a burdensome demand on Israeli support. All of these difficulties can be overcome and Israel can claim all of her promised lands and peace will be the logical result. Let the world scream for the entire three to six months before they get tired of screaming at the hand and getting nowhere. Should anybody be so determined to take the annexing to any international court they will find out very quickly why the Arabs never took that route, Israel has the rights to all the land and the treaties and agreements to show for it starting with the San Remo Conference and on all the way to Article 80 of the United Nations Charter which overrules and voids the recent angry resolution that President Obama fostered through the United Nations Security Council as a Chapter Six Resolution which is not binding.